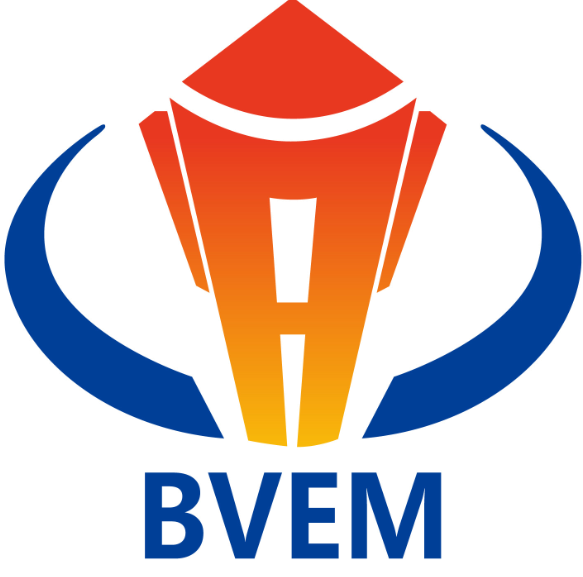 The product is used for foundation treatment. 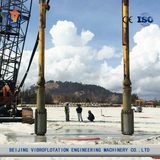 It has two methods to enhance the bearing capacity of foundation that vibro compaction method and vibro replacement stone column method. 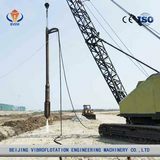 The vibro compaction principle : by the force of the vibroflot, enforce liquefaction of saturated sand layer, the sand particles with rearrange and pores will reduce. 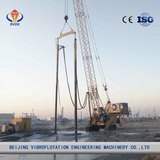 The vibro replacement stone column method principle : jet water and vibrate by vibroflot to form holes. Fill in pile holes by section with solid filling materials such as gravel (cobble) etc., and replace soft foundation with coarse aggregate. 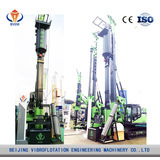 Compact and vibrate till compaction, until at last forming into piles. 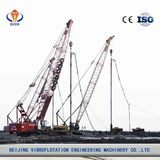 The vibroflotation method doesn’t need to increase other raw materials, so it’s the economy, environmental protection , high efficiency and abroad applicable territory.